Jamie Theakston | Dogs Might Fly – Sky 1. Dogs Might Fly – Sky 1. 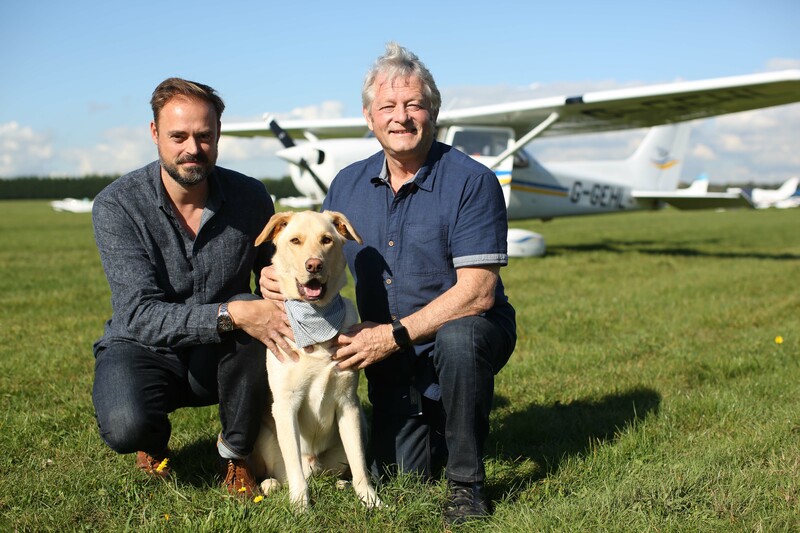 In this new six part series presented by Jamie Theakston, twelve unwanted and abandoned dogs from across the UK attempt to achieve the impossible and become the first dog ever to fly a plane. Brand new Sky 1 factual series, Dogs Might Fly, produced by award-winning natural history specialist, Oxford Scientific Films, and GroupM Entertainment, explores dogs’ extraordinary ability, which will make even the most devoted dog lovers see their pets in a whole new light. Dogs Might Fly (6 x 60’) proves that dogs have distinct personalities and incredible levels of intelligence. A team of experts and scientists will explore communication, empathy, memory and reasoning with the dogs, resulting in the ultimate question: could a dog fly a plane? As well as scientific studies that test the dogs’ abilities to reason, communicate and solve problems, we witness what dogs are truly capable of when they come together in some spectacular theatrical performances. According to a survey by The Dogs Trust, around 120,000 dogs find their way into UK rescue centres each year. Another 5,000 are put down by local authorities. A nationwide search for dogs from rescue centres found some of Britain’s most extraordinary canine characters bursting with potential. Working with a team of animal welfare specialists, including an animal welfare director, trainers, a vet and kennel hands, dogs that enjoy and respond to training are slowly acclimatised to different sensations and stimulus. The series helps the animals reveal their amazing hidden abilities in the care of trainers, behaviourists and vets and ultimately each dog is found a loving new home. Could a dog fly a plane? Dogs Might Fly coming to Sky 1 soon, seeks to answer the question.